encompassed by a fabric of residences developed in the 1970’s, the dwelling ‘niu’ by osaka city-based architect yoshihiro yamamoto is now complete in ikoma city, japan. 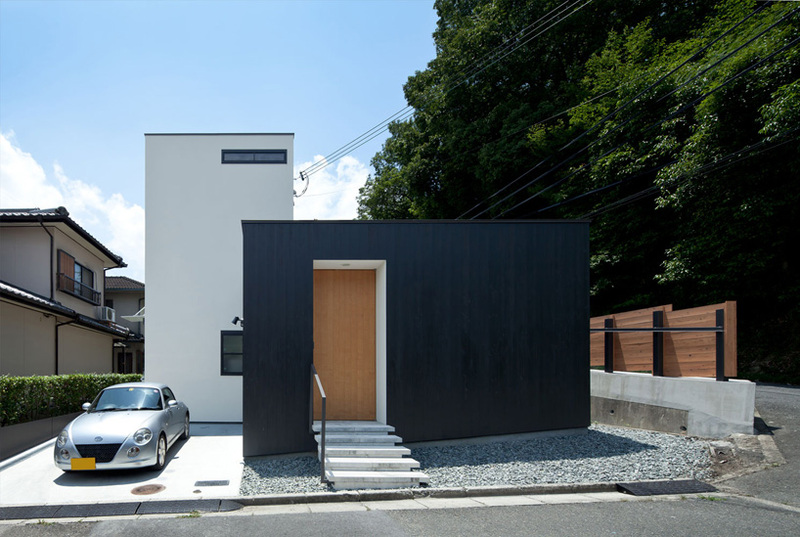 homogenous prefabricated structures are located on one side while traditional japanese style homes and nature bordered along the opposite side. two volumes toned in black and white define the internal functions, with an open kitchen, living, dining area and loft within the lighter double-storey block while the bathroom, utility room, soundproof studio and bedroom are contained by the dark, single-level box. the windowless mass is positioned closer to the street, while the tower of living spaces has been set back into the lot, buffering the interior from ambient sounds. a void between the two halves of the plan form a small courtyard to allow wind and light to enter while offering a view from the kitchen.